Here, after 26,000 promising words, the fragment stops. 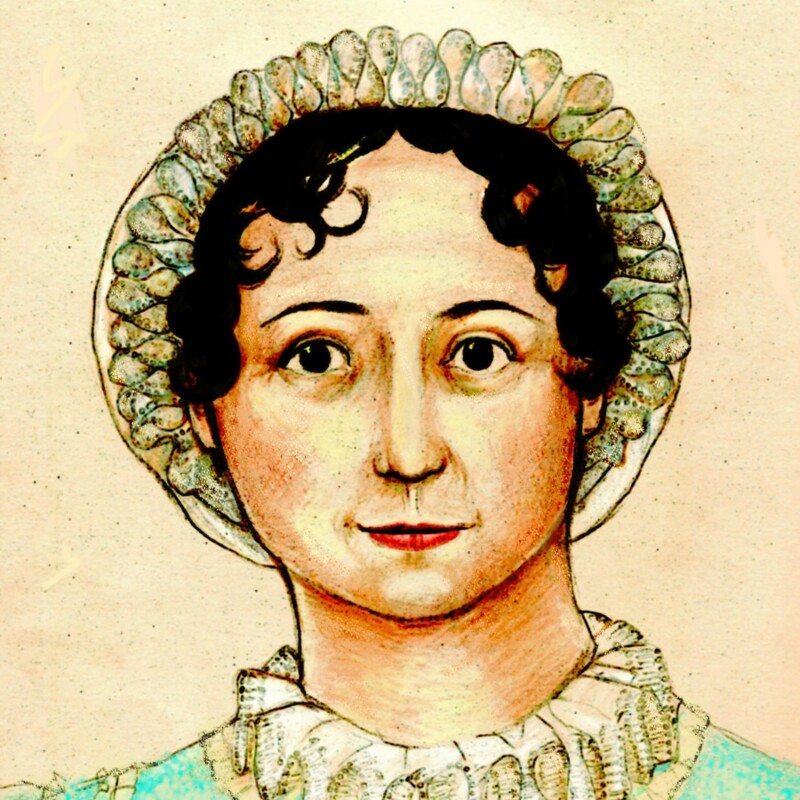 Jane Austen was no longer physically able to continue the draft that we know as Sanditon. However, Austen had set the scene, named over fifty characters, announced the heroine and scattered a score of clues which she planned to develop throughout the story. I enjoyed this completion. I liked the imitation of Austen’s convoluted sentence style, the humorous comments on the quirks of the main characters, and the early hint of new characters that appear later in the novel. The adult members of the Parker family, Lady Denham, and a young visitor named Charlotte are the main characters of A Completion of Sanditon. Thomas Parker is determined to develop his beloved Sussex town into a coastal resort. It Is an obsession that he shares with his neighbor, Lady Denham. Charlotte, observant- yet tactful, is marked from the beginning as the heroine. She is amused and even astounded at the comments and actions of the other characters. Described as “a saucy fellow”, Sidney Parker enjoys laughing outright at his siblings’ idiosyncrasies. He becomes quickly attached to Charlotte, but she is afraid to take his declarations seriously. There were a few aspects of the book that I would have changed. I wish that there had been more conversations between Charlotte and Sidney. Their relationship is very rushed. Sidney actually disappears for sixty-six pages. There is a disturbing incident between two minor characters . Sir Edward Denham apparently tries to attack sweet Clara Brereton. Charlotte finds the poor girl strewn on the ground minus her collar. This does not seem very Austenish to me. I don’t remember any similar scene in her other novels. There are a variety of punctuation omissions that made the novel confusing at times. However, the ending is happy, the “bad guy” fails, and all difficulties are humorously resolved. I think that most Janeites will enjoy this completion. Note: Jane Austen’s fragment of Sanditon is not included in this completion. It is necessary to read it first in order to understand the completion. Put on your OWN Jane Austen plays!